I’m so excited to share my new I Choose Beauty design with you guys! ️WHEN IT’S DARK, LOOK FOR THE LIGHT. It’s something I’m constantly reminding myself, and hope it speaks to you, too. Huge thanks to Ember & Co. for bringing my vision to life. And for all of you who helped me by voting for the final version of the design when I couldn’t decide. 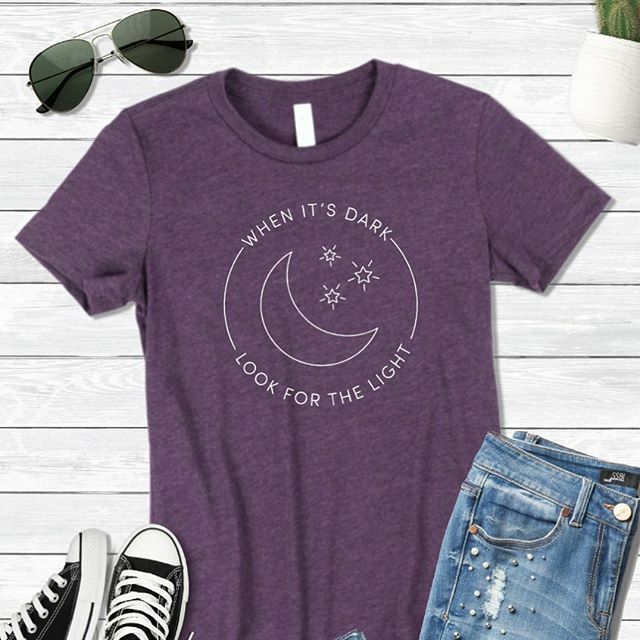 WHEN IT’S DARK, LOOK FOR THE LIGHT is now available on my website on women’s tees, unisex tees, tanks, and mugs. As always, 5% of net proceeds goes to Mental Health America.